Are you planning on using tiles for your home remodeling project? With so many types of materials available on the market, the selection process can be quite overwhelming. The combination of styles, textures, and finishes are almost limitless. You should consider their functionality, value, and aesthetics before making your choice. Ceramic Tiles: A popular choice among homeowners for ease of maintenance, ceramic tiles are also known to be versatile. They are a cost-effective option for nearly any application. These tiles can be used on floors, walls, and countertops, and come in different sizes, colors, textures, and shapes so you can incorporate them into countless designs. Mosaic Tiles: If you’re looking for variety and visual appeal, mosaic tiles are an excellent choice. They are perfect for wet areas like your kitchen and bathroom. They can also be used to create artistic floors and wall murals because of their decorative element. Mosaic tiles make a room look more interesting. Porcelain Tiles: Scratch and crack-resistant, porcelain tiles are known to withstand long-term use and harsh conditions. That is why they are often installed in outdoor living spaces and walkways. Porcelain tiles also work best for bathrooms because they can resist moisture. Glazed types include an abrasive grit that helps prevent slips and falls. 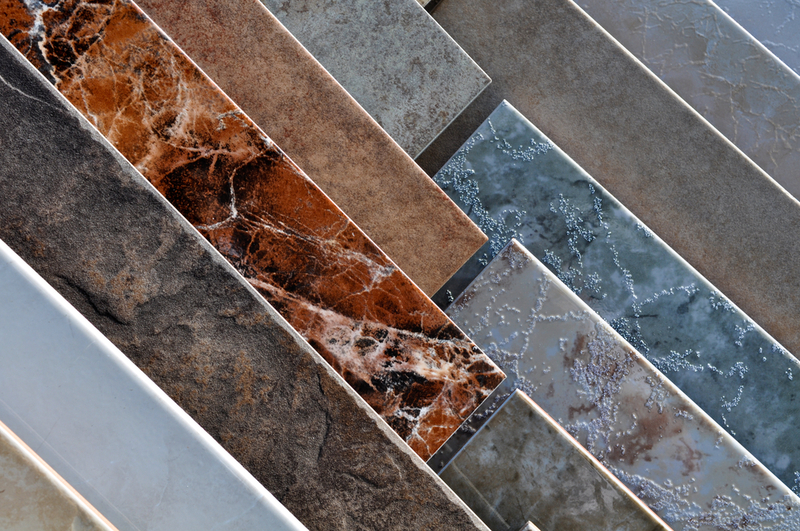 Natural Stone: For home remodeling projects that aim to add value, designers usually incorporate natural stone tiles. They are a timeless feature that radiates elegance and sophistication. Often used in kitchens, hallways, and living rooms, natural stone flooring also helps keep a home cooler, so it’s recommended in warmer geographic regions. If you need tiles for your home remodeling, you can rely on Devine Creations Design Center in Monmouth County, NJ, to supply you with the highest quality materials. They have an extensive selection of tile and stone products that can match your design requirements. They also offer kitchen cabinets, granite countertops, and other home accessories. Call (732) 856-9661 or visit their website for more information.